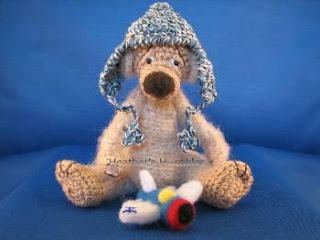 Every Month or so we feature a different artist.For Febuary we chose Patricia Knight of http://www.zadacreations.com/ whose bear Sasha (below left) won threadanimal of the year for 2007. Brenna holding a little bunny Bianca (above) is a needle felted creation by Patricia. What follows is her interview with threadanimals. 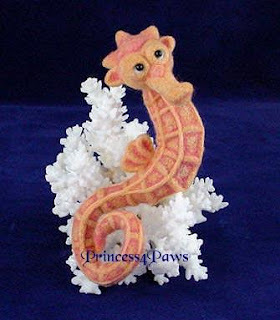 * How did you get started making thread animals? * What is your favorite medium? 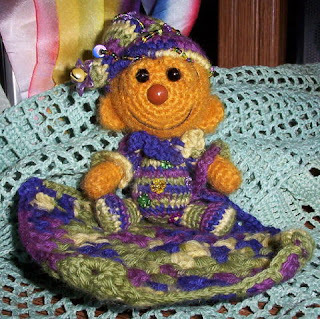 Knitting, crocheting, or felting? 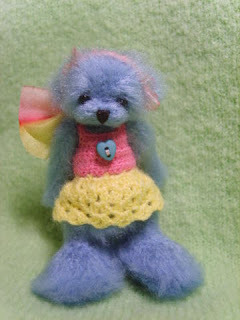 My favorite medium is needle felting. I enjoy this medium because of its versatility and endless possibilities. You can take a bag of wool and turn it into virtually any shape you want! * What are your favorite colors to work with? Hhhmmmm, I think my favorite colors to work with change with what mood I in…. Overall I like to work with light, soft, warm colors. 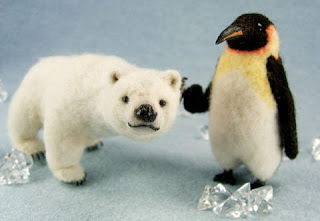 * Out of all the thread animals you have made, what is your favorite? It seems my favorite is almost always the one I’m currently working on or have just finished. I think I can become so involved in what I’m making at the moment that I become really close to it. After the little face emerges and those big eyes look up at me…. I think…. Oh this is my favorite. And then it happens again with the next creation…. * Which Thread Artists do you admire most? This is a tough one as there are so many talented Thread Artists. 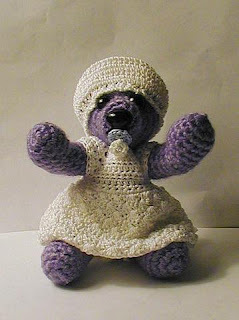 I would have to say Chantal Giroux as she creates such adorably expressive crotchet bears. Bobbie Ripperger for her realistic perfection. Berta Hesen-Minten for her endless creativity. 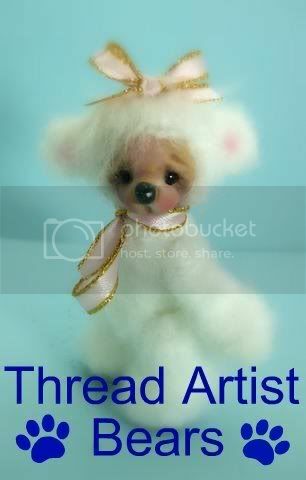 * Do you sell thread animals? Where can people purchase your threadanimals if you do? 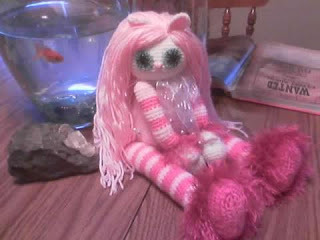 I sell my creations on ebay under the user ID zadacreations. 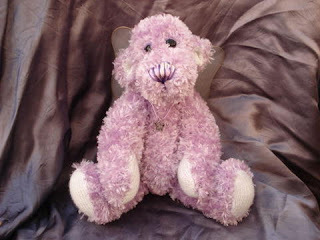 I am currently working on updating my website to sell directly on http://www.zadacreations.com/. * What are your other hobbies and interests? * Any advice you would like to share for beginner artists? January saw several of our members being nominated for a TOBY award. 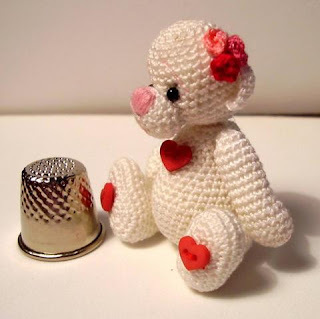 Below are Princess Cali by Margaret Weiss and North meets South by Bobbie R.
The ballots will be available in the march/april issue of Teddy Bear and Friends. If you don't have a subscription you might consider getting one, threadanimals are often featured. We have seen some other beautiful bears and unusual creatures in January...here is just a sampling. If you would like to see more, please check the Jan 08 photo album in our group. The bear below was done by Jessica F. Notice the dragonfly? 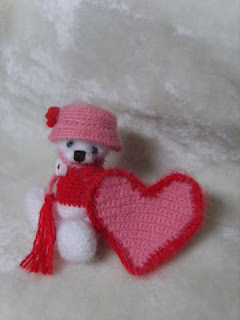 The Smiling Amiguri style bear above is byBonBears. 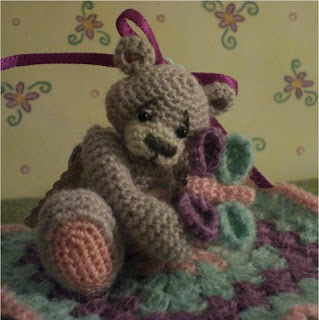 It is hard to choose from all the bears in the album when putting together my blog. They are all fantastic. I just try to put together a sampling of what has been done. If I got something wrong, please let me know. please leave a comment and let us know you were here.